Beijing, March 18 : China on Monday said it has arrested 12,995 terrorists since 2014 in the troubled region of Xinjiang, where, according to human rights organisations around a million Muslims are being held in internment camps. China’s State Council published a white paper titled “The Fight Against Terrorism and Extremism and Human Rights Protection in Xinjiang”, in which it says 1,588 violent and terrorist gangs have been disbanded and 2,052 explosive devices seized in the last five years. Some 30,645 people have been punished for 4,858 illegal religious activities and 345,229 copies of illegal religious materials confiscated, Efe news quoted the document as saying. According to the white paper, “incomplete statistics show from 1990 to the end of 2016, separatist, terrorist and extremist forces launched thousands of terrorist attacks in Xinjiang, killing large numbers of innocent people and hundreds of police officers, and causing immeasurable damage to property”. In the document, Beijing defended the actions it is taking “in accordance with the law” against “all sorts of violent and terrorist activities that violate human rights, endanger public security, undermine ethnic unity and split the country”. However, it asserted the government “fully respects and safeguards civil rights, including freedom of religious belief” and its actions were aimed at “containing extremism”. “It is not Islam. 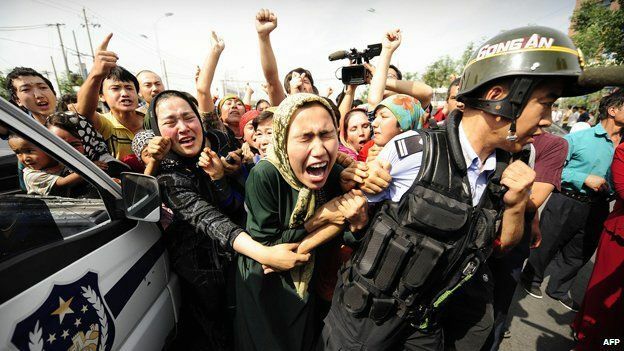 These inhuman, anti-social and barbaric acts have brought enormous suffering to all ethnic groups in Xinjiang,” it said. 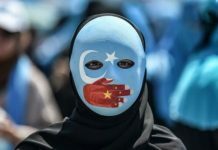 China also accuses the “East Turkistan” forces, both inside and outside the country, of stepping up collaboration since the 1990s to establish “East Turkistan” through “jihad”. “It is indisputable that Xinjiang is an inseparable part of the Chinese territory. Xinjiang ethnic cultures are an inseparable part of the Chinese civilisation,” said the white paper, adding Uyghurs, the largest ethnic group of the region, came into being in the long process of migration and ethnic integration and “are not descendants of the Turks”. According to human rights groups, close to one million ethnic Uyghurs are being held in Xinjiang re-education camps, which the government calls vocational training programmes aimed at eradicating terrorism and religious extremism.